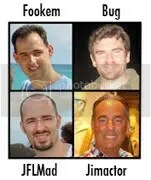 Home > Uncategorized	> Bug’s Former Dutch Girlfriend Joanne Noordink was missing. Her Body is found in Aalten, The Netherlands. I better get this said while I can still write. How do I begin to put into words my feelings as I sit here before I make this announcement? 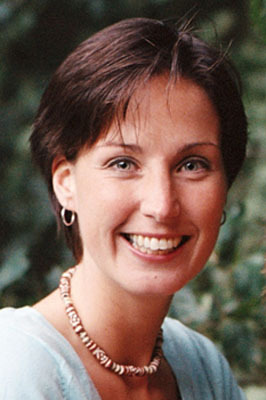 My former Dutch girlfriend Joanne Noordink had been missing since December 11, 2008. More than one hundred days was yesterday the lifeless body was found. Today the Aalten Police announced and confirmed that body is Joanne’s. She was found in the back yard at High Street in Aalten house of arrested 32 year old Iranian Eshan and his Italian wife Tamara. There is another suspect who had stolen items from Joanne’s home. He is 49 year old Iranian. In the end of November I had received a last e-mail from Joanne a few days before she disappeared. She thanked me for wishing her a happy belated birthday. After that we haven’t spoken for nearly two months. I thought it was strange because she usually emailed me almost everyday. If I don’t email her, she would write and check on me and see how I am doing but she did not. I decided to google her name and was very surprised to see her parents and relatives on the videos of Missing Person Program on the television. I learned that Joanne had gone missing in her hometown of Aalten, the Netherlands, most likely kidnapped on December 11th. Then I contacted her father Arent in Holland. I used the Sorenson Video Relay Service (SVRS), it enables Deaf and Hard of Hearing people to conduct video relay calls with family, friends, and business associates through a certified sign language interepreter, videophone, television, and a high speed internet connection where I can see the interpreter on my television and sign to the interpreter, who then contacts the hearing user via a standard phone line and relays the conversation between the two parties. We spoke for a few minutes. Arent believed that somebody kidnapped her. My heart sank so deeply. I spilled my bitterness of tears in my eyes. Joanne’s disappearance has brought breakbreak and anguish to her families, friends and including my American families and friends. After I spoke with Joanne’s father. I hurrily drove to McGraw Elementary World School in Fort Collins, Colorado where Joanne used to work in the spring of 2005. I shared the news with school. They were shocked. Also, I contacted my mother in Los Angeles and told my friends about this terrible news. Most of them met her when Joanne and I were in the relationship. They are heartbroken. How could this happen to Joanne? Why her? She had a sweet and bright personality. She did not have any enemies. It was more than 100 days since her disappearance, there was no trace of Joanne yesterday. For three month and half months many people wondered if Joanne was a victim of a crime. Some people thought that she committed suicide. Some news medias said that Joanne might be no longer living. Others believed that she was alive. Joanne’s family and I personally didn’t believe that she committed suicide because she embraces her life. On December 11th, before Joanne’s disappearance, a witness saw her wearing a winter coat at about 8:30 a.m. Two hours later Joanne called her mother Helma and talked about shopping at the market. A few hours later Helma drove to Joanne’s home and wanted to have a cup of coffee with her. She showed up and pressed the intercom at the joint entrance to Joanne’s apartment but got no reponse. Mother left. On same day Joanne’s friend Jolanda showed up at the door and pressed the intercom. Again, no reponse. She walked toward to the back of apartment and looked at the kitchen window on the second floor. There was a flickering light and the television was on then Jolanda texted Joanne a message and asked her to contact her when she wakes up. Jolanda left. Later in the late evening Helma repeatedly calling her daughter but no reponse. Next day Helma and Arent drove to her apartment and opened the door with the only spare key. They walked in and saw no Joanne. Her keys were on the table. The Netherlands passport, purse, cash, debt cards, driving license, and everything else were still there except her mobile phone and personal laptop. All winter coats were still hanging on the coat rack. Her car and bike were still there. Two cats were still in there but their water and food bowls were empty. Aaltern Police was called and they came to investigative. The team checked everything such as blood, fingerprints, hair, etc. No evidence of a crime was found. No trace of Joanne. Next day the parents received a strange email. They didn’t recognize as a message from Joanne. It was not the same as Joanne’s writing. Since Joanne’s disappearance, the investigation team was still working for 24 hours, 7 days. 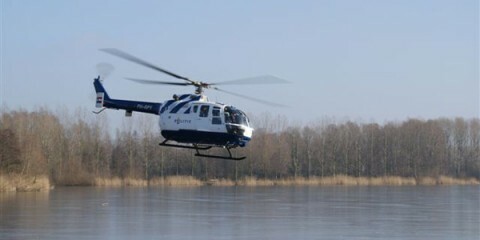 The police helicopter flew above the lake and the whole town. Police dogs sniffed everywhere. They received many tips. Again, no trace of her. The reward was offered by Joanne’s parents, friends, and Public Ministry. They raised to $30,000 Euro (about $40,456.00 U.S. dollars) for finding Joanne. On March 24th, (103 days since Joanne’s disappearance) the investigation team has arrested a 49 year old male Iranian suspect in the provinve of Friesland, the Netherlands because he had some Joanne’s missing personal belongings. A few hours later 32 year old Iraqi man as a second suspect was arrested in Aalten. He was suspected of involvement in the disappearance of Joanne. His name is Eshan. His possible motive for the murder of Joanne is still unknown. Also his wife was arrested too. After that Joanne’s parents were informed right away. Eshan is an acquaintance of the family. He previously in Joanne’s home to do the house chores. He was her handyman. Many local residents said that he was without a permanent job. Yesterday on the 25th of March, there was an investigation into the house of Iraqi man. The police put the direct vicinity of the house with fences and a red and white ribbon off. Press medias and reporters were kept at a distance. The car arrived just after three hours with sniffer dogs who specialize in the search for human remains. Detection wrapped in white suits detectives were in the house. The police was looking for traces of missing Joanne since December 11th. In the small backyard behind the house was dug and prodded with long poles. Finally, the lifeless body was found. The missing developments in the case struck this week in a rapids. Monday gave the police a 49 year old man from the other town, who was in possession of the jewels of Joanne. The trail led to the 32 year old man, whom he would have the stuff. The Iraqi , who is married to an Italian, was arrested. He was found in possession of Joanne’s mobile phone. Many neighbors of the suspect are speechless. One of them said if he did it, “I think humanity is no longer,” said one neighbor. “He is a friendly, well intergrated man wo speaks excellent English and always friendly and helpful. But it says no probably nothing. Apparently there lies a monster in him,” neighbor said. How did Joanne and I met? 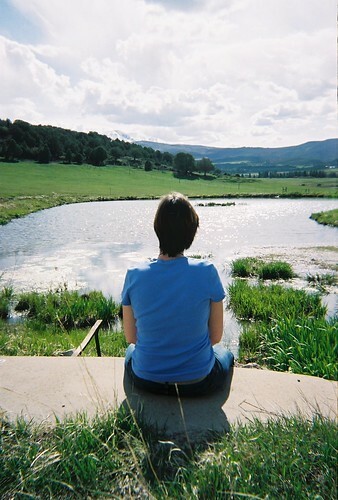 In the early spring of 2005, Joanne flew to Colorado from the Netherlands to do her internship at McGraw Elementary World School in Fort Collins, Colorado. She loved working with the Deaf and Hard of Hearing students. Joanne’s friend was my American Sign Language (ASL) student at Front Range Community College. She asked if she could bring Joanne as a guest to my class and introduced her to me. I accepted and was looking forward to meeting her. After Joanne and I became great friends. We spoke a lot about the cultures such as American culture, Dutch culture, Deaf culture and Hearing culture. I taught her ASL. She taught me Dutch. A few weeks later we fell in love with each other. She loved talking about the Up with People (UWP). UWP is the name of both a motivational organization and a musical performance, both related to each other. Joanne loved being a member of Taize Community. It is an ecumenical Christian monastic order in Taize, France. It is comprised of a little over 100 brothers who come from Catholic, Orthodox, and Protestant traditions. Its a place where people go for prayer, Bible study, sharing, and communal work. 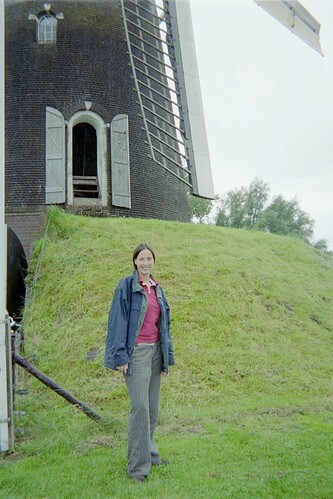 In the summer of 2005, I flew to the Netherlands to visit Joanne. She introduced me to her favorite brother Thomas and lovely parents Arent and Helma in their hometown Aaltern. I was very impressed with them because they learned some basic ASL before I met them. They’re very gentle Dutch family. Her brother made fun of my white socks and said, ” You are American! You wear the white socks! We wear the black socks.” I laughed and learned my lesson not to wear the white socks in their country or they would make fun of me as American. Thomas gave me Dutch beer which it was called ” White Beer”. It tasted so great. I loved eating their meals at parent’s. I enjoyed drinking her father’s wine. He got many more wine bottles because he knew that I would drink more. I love her mother’s cook. Joanne and her lovely family took me to many different cities in Holland. I enjoyed my trip. 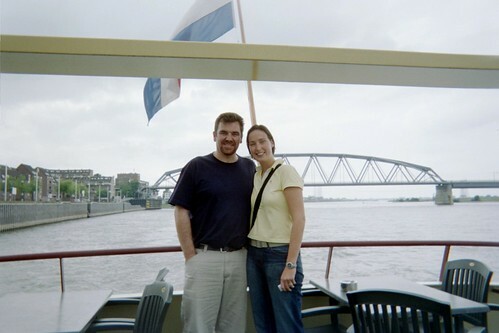 Our American/Dutch relationship was very special and sweet. Joanne opened my heart for the first time in 10 years which I never dated with anyone before I met her. Joanne took me to the lake not far from her parent’s home. While walking beside the lake, she stopped and looked at my eyes for a while. Then she put a beautiful Dutch ring on my finger. She said “Here’s a special gift from me. This is a “friendship” ring and promised that we would be together forever. ” I smiled and accepted her gift. In American culture, we called it as a promise ring so they called it as a friendship ring in their Dutch culture. A few months later Joanne flew back to Colorado and visited me and her host family in Loveland and Dillion. It was a greatly plesaure to see her. She stayed with me for about two and half weeks. We attended to my friend Debbie’s Deaf Bonfire Party. There was about 200 guests. Joanne enjoyed signing ASL with everyone. Other night my friend John invited us to his Halloween party in Denver. 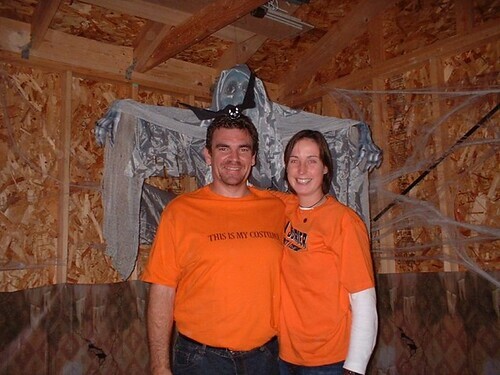 We wore the orange Halloween shirts at the party. We had nice time together. Since I met you, my heart had been captured roped by your Dutch warm friendship and love. I knew inside that it had always been yours. You wore a mask. I lived in a sea clam. Both of us were free from them by the love. I often dreamed that we would be together forever so we could travel to the island, Africa, and visit each other in two countries. We had a wonderful life together.I will close my eyes sometimes and listen to your music even my ears are deaf but not for my heart. You were my best friend as well as my lover and I do not know which side of you. I enjoy the most. I treasure each side just as I have treasured our life together. You have something inside you, Joanne Something beautiful and strong. That’s what I see you when I look at you. I know you thought me crazy for fighting what I would not give up and tried to save our relationship. When I am a fighter, my words are either beautiful or ugly, they are the true of my soulful language when I am hurtful and angry. I am struggling for words. But I will never and would never meant to hurt you, my darling. I have my reasons and I thank you for your patience. And though you asked, I never told you why but now I think it is time you knew. You know how fearful I was and I was frightenend by the knowledge that all this will be ending soon as you fly off. I wonder if I will see your tears, if it is not then I know you’re crying inside. I fear the pain I know I will go through so I will also fear the pain and saddness when you leave. I am at a loss for words. So I love you so deeply, so incredibly much. No matter how it happens, I promise you that I will be thinking of you for the rest of my life. I believe that you are my first and last love. Please don’t be angry with me. I am sorry if I often said I love you in the past. I will never regret for loving you. And if you save this letter to read again, please believe what I am saying. Joanne, wherever you are and whenever this is, I love you. I love you now as I write this and I love you now as you read this if this is 500 years old letter. And I am so sorry if I am not able to tell you. About two weeks later Joanne and I got in touch. She wanted me to know that she still loved me and asked for my chance. I gave her a chance. It was good but our relationship did not last. Sadly,I never spoke with her again since Feburary 2006. Two years later Joanne and I got in touch for the first time in March 2008. She was so happy. We rebuilt the friendship slowly. She wanted me to find forgiveness in my heart for her. She understood that I was not ready because I was still hurting. Other than that we had many nice chats about many things such as our memories, her love for Uganda people, two cats, her little Joanne as her adopted child in Uganda, etc. 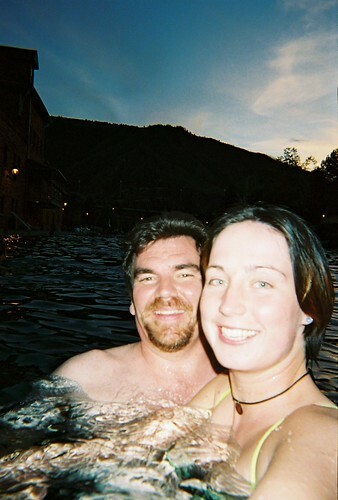 We enjoyed talking about the hot spring pool we swam at Glenwood Springs and visited Aspen. She asked me about her friends Cathy, Jaime, Megan and others at McGraw School because she missed them. Joanne said she was coming to Colorado sometime this year to visit me and others. I was excited. I felt so ready to forgive her in person and ask for her forgiveness too. I knew as I prepared to see Joanne. I wanted to hug her. I knew it’s her I wish to see but I saw her name in the news. It means she is not coming to see me. Joanne is dead. My heart is bleeding. My spirit is broken. A part of me died with her. I will never have a chance to tell her that she is forgiven. I wanted to tell her that she is a wonderful and sweetest Dutch gal I ever met in my life. But it is too late to tell her in person. How painful and angry I was after I learned that her lifeless body was found yesterday. I’ve wished so hard that I could have saved her from those evil fools. I would give my life if somehow it would bring her all back to her dad, mother, and brother. My heart goes to her family and friends. I want to write this note for Joanne because I never have a chance to say it to her in person. Hopefully, this note and God will guide me in the right direction and take this pain from my heart and mind, and allow you to rest in peace. Please don’t ask me why it took so long to get it off my chest. My life and feelings have been out of control for all of these years. I was angry. It was too late to forgive you in person and ask for your forgiveness. Two years ago I had been meaning to see you in Holland when I was in Germany but I was not ready to see you. I was hoping that I would see you one more time but I did not realize your life was short and you are gone. I am so sorry. I know you have a lot of rich experiences in your life that most people don’t have. Please know that you are wonderful and loved. You are forgiven. Forgive me. I have long admired you and still miss you. Thank you for being part of my life. I believe most people around you, were touched by your love and kindness. At last you live again but not just in the hearts of us who loved you. You live in the Netherland’s heart as well. Your letters are so beautiful and well expressed. Please accept my deepest sympathy for Joanne’s passing. My heart breaks when your heart breaks. You sound like a great friend to Joanne. That kind of relationship was very special to you both. Treasure the best memories you have with her in years to come. Again, I’m sorry about her death. My heart is really broken in tear when I heard that Joanne isn’t able to rise. The bad news is made me feeling very sad and feel deep sympathy of loss Joanne for Joanne’s parents, family, friends plus Eric. I understand that they feel painful when she’s gone. I never forget how I imagined when Eric was introduced Joanne to meet me in the bonfire in Colorado. We’ve good chatting with few laughs and I looked them a very romance couple. I remark that she was completely beautiful smiling when we talked. By now, I feel deeply sad when her lifeless body is found. I’ll pray to God for giving her a full spirit in a peace heaven and comfort her family, friends & Eric. Your story is great effort about her and both of you together as well. It makes me in tear like the end of the movie. I m very saddened to hear about this terrible tragedy! Very hard to believed this happened to your former girlfriend. Many lived will be saved because of people reading your story. It will make all of us to be more careful and be alert to our surrounding. Anywhere, anytime! Keep in mind, she will always be in your heart forever and is with you everyday. You both met and fall in love in for a REASON before this unfortunated tragedy occurred. Those motherf**ker suspects!!!!! Heartless Coward soul!!!! My heart is really broken in tear when I heard and very shocked about this terrible tragedy!! The bad news is made me angry and feeling very sad and feel very deeply sympathy and sobbing!! very hard to beleive this happened to your former girlfriend… I can see this picture she is very pretty lady and you and joanne look so cutie couple together.. I understand how you feel painfull when she gone.. I m so sorry about Joanne’s family loss their daughter… I feel deeply sad when her found is body..
my boyfriend and I give you huge hug!!! Your posting touched me… beautiful tribute to Joanne. I am so sorry for your loss. Your writing inspired me. I am praying for you and Joanne’s family. It is so beautiful and it is inspired me and it did broken my heart over Joanne and you were beautiful people that you connected her and it is not being fair for her family,too. I think your written a beautiful tribute to Joanne. Darling Eric..we have been in touch since you discovered Joanne was missing, and Kim and I tried our best to get all the information you needed. My heart broke when I sent you that link that they had found her body..I cried knowing how much it was going to hurt you..
Just know that you have alot of wonderful friends and family who are there for you to give you the love and support you need, its time to grieve.. you will always have lovely memories of your Joanne. You wrote a beautiful tribute to the woman you loved so deeply. Remember if you ever want to come to Holland, you have a place to stay with us. A tragic end. Sadly, you must continue your time on this earth, knowing she is gone. She gave you a piece of her heart. Cherish this, and keep it safe as you honor her memory. Some day, you will sit again near the lake, side by side, as friends forever. Eric, your writing is a form of healing. You have a gift and you should use it to pay tribute to Joanne and to allow your heart to seal her memory in you. I, too, have lost someone before troubles could be reconciled and it is up to us to give it to God and let him pass on the forgiveness. Stay strong. I’m very sorry for your loss. You are in my prayers and thoughts. I am so very sorry to hear of your terrible loss. I can’t imagine losing Joanne. My condolences and my prayers and blessings to you and Joanne’s family. Bug, your posts, letters, etc are very touching. Emotions are such a rollercoaster thing and you both had something special. Be strong. Things happens for a reason. tis better to have loved and lost than to never have loved. I am so sorry about what happened to Joanne. Thank you for sharing this with us. I am saddened to hear this news. My prayers and thoughts are with you and joanne’s family. Beautiful pictures! Two of you together! Joanne is a beautiful dutch lady. You will be remembered of her. She is at peace. May God lifts your spirit! I felt so sad with tears coming out of my eyes after reading. These creepy monsters deserve to be punisged severely. My prayers and thoughts go to you and Joanne’s family. I am a Dutchie, living in Ontario, Canada for the past 20 years now. I keep updated with the Dutch news, and Aalten is not too far from where I was born and grew up. My heart breaks for your story. I wish you healing. And I am sure Joanne is at peace. Such a tragedy should have never happened, I am also very sorry for your loss. Greetings from Ontario, Anja. I dont know what made me log into your website tonight. I know we havent spoken for a year I just want to say I’m so sorry for the loss of Joanne. you always loved her you spoke to me about her and I knew you still loved her no matter what happned between the both of you.. This is a shock how crul those people are to do such a horrible thing to an innocent lady like Joanne..
just remember she is reading your letter and one of these days you will see her and she will talk to you befoer she is really in peace. I know we are not speaking , but If you need to talk I’m a call a way ok . I will pray for her family and friends as well as for her soul..
Everyone in Holland is crying about Joanne. I read it repeatedlyand it touched my heart to death! I still couldn’t believe it happened. I’m so much concern about “what if” or/and “it can happens to anyone” I pray for you to hang in there! My heart goes out to you and her family as well. *Eric, you’re in my prayers! I know I can’t say things to make you better or to take your pains away, but yet all I can say is I’m terribly sorry for your loss and hopefully you stay strong and give yourself some time to heals with your pains of what you have been through. Your story really inspired me so much to realized how much I truly love my love ones! Once again, I’m so so sorry for your loss. My prayers are up for you, for her family, and for all of her friends that she touched in her short, short chapter in life. Eric, Your tribute is so beautiful. Joanne is in your heart. My hearing boyfriend lost his real loved girlfriend from the brain cancer in 1980’s He accepted that she is gone. I think Joanne was a pretty lady and had a beautiful smile. RECENTLY I READ ABOUT NEWS WHAT YOU EXPLAINED TO EVERY ONE WHY YOUR GIRLFRIEND IS GONE?. OH NO!! I AM VERY SORRY!!! AND KEEP PRAY IN FAITH WITH YOU. I am Joanne’s Cousin. My mother is Arent’s Sister. Thank you for writing such an in depth article on this tragedy. I have such difficulty getting information on this in English. Your expression of letters are so beautiful. I am truly sorry about your loss. Joanne’s family and you are in my thoughts. I read each of your comments and personal emails. My sincere thanks to each of you for your thoughts, prayers and love during the difficult time. Your supports are overwhelming but comforting. Please keep the Noordink Family in your prayers. I will visit her grave sometime this year as I hope the visit would bring me some closures. We don’t know each other but your story about you and Joanne really inspired me; was shocked and saddened of her death to those heartless people. The letter was very touching and gave me goose bumps. I know, for sure, she is up there watching over you as the love between you and her never dies. My prayers for you and her family. Your written are so beautiful! I am so sorry for your loss and she is in your heart forever and keep memory of her. Oh Eric, I can’t begin to imagine how you feel — this is so awful for everyone. I do have some beliefs that I will share with you – they have kept me sane during troubled times. I believe God calls us when he needs us and finds some kind of vehicle for our death – sometimes an illness, car, murder – whatever it takes to get a soul to him. These souls are needed elsewhere to do a specific job, so I imagine she is very busy helping bring love to others. I am also sure that they do know our feelings so I’m positive she is looking kindly on you for the joy you gave one another. Wait for a sign from her, a smell of her perfume, a dream where she visits you, something very difficult working out well – I bet she is behind it finding a way to let you know she is ok. Just before my father died he said that grief is just really missing someone. You know that from losing Fancy – I still miss her. Joanne taught you to love, use that as a base to love again and love more. Don’t let the time she spent with you go into bleak misery – learn from it. Take the gift you gave to one another and run with it. Look back with joy at the wonderful emotions of your relationship with her. You are far stronger than you think – make her proud of you and share your love wherever you can. You are a very dear man and I miss you a lot. I always thought of your friendship as a very special gift. Take care and know you have a lot of people who care about you. Your story is very deep. My teardrops roll down while reading this. I am truly sorry about your loss. It is very sad. Joanne’s family and you are in my prayer. Your writing is very respectful and beautiful. Your blog is really beautiful to read and touched my heart about your loss. You both were in greatest love relationship. I saw Joanne’s picture as she was so pretty.. I can understand how you felt about loss because myself, a widow as I lost my beloved husband almost 5 years ago this month. He was my soulmate in my life and great dad to my 2 lovely kids. I admire your story about your greatest love, Joanne. I want to send my sympathy to you and her family in Netherlands. I know when you told me about your girlfriend when I was in your class the first time, I could feel how much you loved her. Then to have you tell me about what happen to her now, I truly felt as if I had lost someone close to me as well. I am truly truly sorry for your lost. There is nothing that will replace her in your heart, I’m sure. Even though I never phyiscally met her, I felt I had met her just by the way you would talk about her. The world is a lesser place for losing her. My son went to McGraw, so there was a chance I could have met her then. It was nice to meet you yesterday. I am so sorry for your loss. I would have liked to meet Joanne; she seems like such a sweet, young lady. You and Joanne’s family are in my prayers. I just heard about Joanne and hope you get in touch with me. It was too long since we went to California together to visit your mom. I hope you remember. 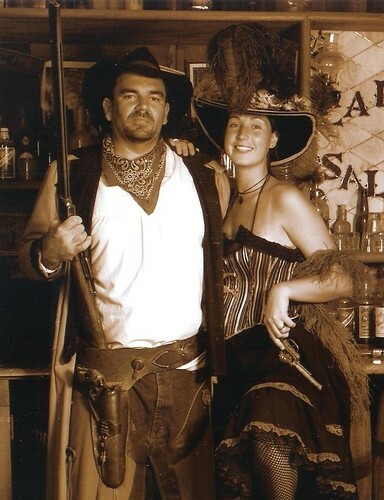 I still have our western photos in a frame in my office. I love and miss her and can’t believe that I let time slip by and not talk to her except once a year. We spoke today in class and you talked about Joanne. We talked a little about kosher food as well 😉 We Jews have an understanding that the first year is the hardest- each day, each special time, each holiday, each thing that reminds you of her carries a new feeling of loss as the year goes by. Each event of this year is a first without her, each day a challenge of its own. And as you come again to the season of her passing, the sadness of that time will come back in a powerful way. We Jews mark this time- the anniversary of a death- with a yartzeit (a candle and a prayer). I will be thinking of Joanne and hoping that you and her family are finding your own ways of peace and healing that are meaningful to you as you find a new place for her in your hearts. She clearly was a loved and special person. Her loss in this world is felt by us all, even if we did not know her personally. Your tribute to her is beautiful. Ha-Makom y’nachem et’chem b’toch sha’ar aveilei Tzion v’Yerushalayim. It is been more than 1 year now… This is really tragic situation that everyone included you and the family had to go through and the justice of her death must be answered and my thought goes with you and the family too… May Joanne in good hand of God. And sometimes i’m ashamed to be dutch. People taking the life of others and go to jail for say 15 years. The Dutch are people who are honoust,we all love justice. This a**^$###e took a life,and destroyed all around it. I hope all of you remember her,and i wish you strength.